When I bought the fabric for my second Linden Sweaterdress I received a bit of extra fabric for free *happy dance* as it was the end of the roll. There was *just* enough for a Mabel Skirt so that's what I made. 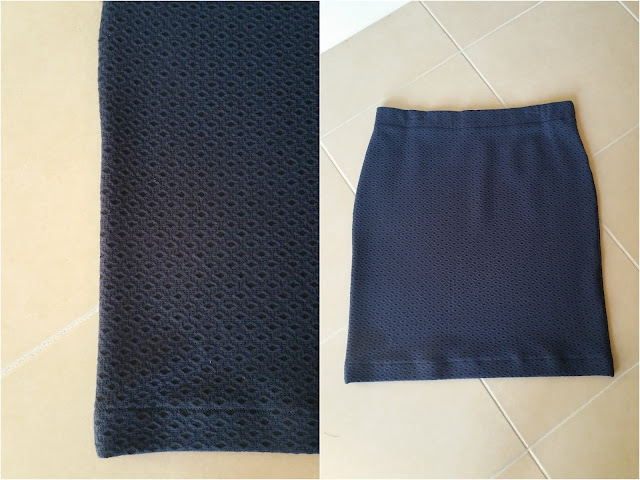 Modifications: 5cm elastic waistband (added 10cm to the pattern to accommodate for this), 16.5cm added to length, pegged in the bottom by 0.5cm at each seam (so 2cm in total). Changes for next time: note to self: 37 1/2" inch of the soft elastic, hem edges on overlocker using the white marker and then 1" overlap.